As you’ve likely seen, Apple is now shipping Mac OS X 10.7 (Lion). This update is quite inexpensive, and we expect a large percentage of our customers to upgrade rapidly. We will, of course, be providing full support for Lion with all our current releases. However, we’re not there just yet. Specifically, the Instant On component used by Airfoil, Audio Hijack Pro, and Nicecast, has not yet been updated for Lion compatibility. Instant On makes it possible to grab audio from already-running applications. As well, it powers the System Audio capture, which grabs all of the system’s audio at once. If you rely on either of these features, you’ll want to wait for full compatibility before upgrading to Lion. You can check out the Status page for more details and to track our progress. If our products are crucial to you for daily use, we recommend sticking with Mac OS X 10.6 for just a little while longer. If not, upgrade, and grab the latest versions of our applications – they all have at least preliminary support for Lion. Finally, if you’re looking to buy, there’s no need to wait. All Lion updates for our products currently for sale will be free, so you don’t need to worry about paying an upgrade fee just to use the software on Lion. I’m experiencing a frequent lag since I upgraded to Lion, Is this “known” issue and will it be fixed in the next version? Max: If it’s not on the Status page, it’s not a known issue. Get in touch with us via the Support page. That goes for anyone, really – if you have an issue not listed there, please let us know. Same for me. I am using Nice Cast to do my Radio Shows and Voice Over fails on Lion so Nice Cast is useless right now :-( Can you please give me a time frame for a lion compatible Version? Wow. Just wow. What have you guys been doing for the past 6 months while Lion was released to developers. Shame on you guys for not getting your software compatible in time for Lion’s release! Tom Elliott, Anonymous: We don’t have an ETA, only “As Soon As Possible”. We’re working on it, and hope to have it out soon. Mjonespt: We’ve been hard at work on preparing many major updates for our software, not just for Lion. For instance, Airfoil 4.5, and Airfoil for Windows 3.0. We’ve also been working to get full Lion compatibility, but we’re not there yet. We’ve released several updates to get as much compatible as possible, and we’re still working on getting full compatibility. But shame on us? No, I don’t think we’ll accept that. 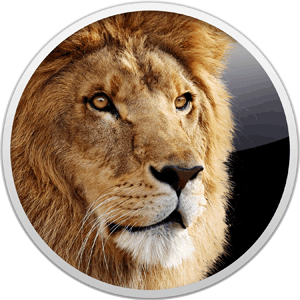 Lion has been in a constant state of flux since it was first shown to developers. The final release was provided to us a matter of days ago, and we’ve been working off that since. Further, we’ve been public about this since before Lion’s launch, providing full transparency. We’d love to have been there for the launch, but we aren’t. We’re still working on it. We certainly wanted to have these updates for the launch, and we’re working on getting them out as fast as possible. We’re disappointed they’re not ready yet. But “shame on us”? No, no I don’t think so. I am a longtime user of your stuff and have purchased all of your application to date. I felt that I just wanted to follow up on Mjonespt’s comment… I couldn’t disagree more with him!!! I am an IT guy and Rogue Amoeba has always been more then responsive to any problems I have encountered and have always been right there with a fix! Please don’t let one ridiculous comment on the board discourage you or anyone from keeping up your high level of software and customer support! I look forward to your Lion updates and when we the user community get them, rest assured they will work. Can’t wait to see what you guys come up with next! Thank you for delivering the Mac community such wonderful products! Hey guys, thanks for all your work. I use most of your applications. Quick question. Is there any chance that you guys will update the LineIn application for Lion? It still works but seems to have lost it’s ability to be hidden in the background, at least on my system. Thanks. I get “Airfoil stopped working yadayada” at random times after my update to lion. Eagerly awaiting a “Lion patch”! We all wait desperately most software i am using is allready Updated. As the Problem is a Instant on witch is used in more than one application I hope the update will show the next days, they already got GM Build more then 3 Weeks. I don’t understand why most other companies got Updates on the first day but not Rogueamoeba. Also I noticed that all programs are showing Lion compatible on the purchase site, witch they are definitely not. Chris: Thanks for the praise and support! Alex: Hmm, we’re not seeing that on our test machines. Get in touch via support. Thomps: I’m not sure what error you’re talking about, as that’s certainly not anything we’ve heard of. Please get in touch via support. CoolSpot: Our products are certainly Lion compatible, providing all basic functionality, except as noted. The Instant On extra enables additional functionality, but nearly all of the basic functionality of the applications works just fine. As the post notes, applications must be relaunched to grab audio, and all System Audio can’t be grabbed at once. However, the products can certainly be used on Lion without this. As for why this is taking longer than most companies, we’re doing low-level work most companies are not. This is taking more time – it’s as simple as that. Well maybe your understanding of compatibility is a bit different than mine. From your point of view all 99,9999 % of applications are compatible. Like Djay before the Update … worked with in limits (not all funktions) …. well my expectations are a bit higher. But i got your point even if i don’t share it. Lets hope a compatible Version with all features is released soon and we all are happy again. Thanks for the info update. I hope that also your freebies work with Lion.. I use Soundsource. a great little utility. Would hate to loose it when updating to Lion. Rogue Amoeba is one of the best independent software developers we have. No doubt they have been working hard on getting their software Lion-ready since the first developer previews. And I’m sure they’ve been working even harder since the release of the GM. But, as they say, their software works with very low-level drivers and so any big release like Lion is sure to cause a feature here or there to not work anymore. And developers have only had the final release of Lion in their hands for about a week—that’s not much time if Apple happens to make a low-level change from the previous build (which they probably have). And, well, the apps in question do work. It’s only Instant On that needs an update. So just re-launch an app to capture its audio until there’s an update—simple as. It’s unfortunate that you can’t capture System Audio, but, hey, that’s why I’m not on Lion yet. Mjonespt and CoolSpot: Have you considered how your acting like spoiled brats might be really disheartening to small companies like Rogue Amoeba? I mean, Lion hasn’t even been out for a week yet, and already you’re screaming GIMME GIMME GIMME like a chorus figgy-pudding first-graders in a Christmas pageant. Get over yourselves. Shame on you. As for the people who bought Lion without checking if the software they rely on to do their work… are you joking? As a graphic designer, I would never dream of upgrading my OS without checking if my Adobe apps worked with the new version first. Maybe it’s Apple’s fault for acting like everything is so simple (I hope they get bitten in the arse when customers figure out that 99% of their non-Apple apps don’t auto-save and probably won’t until the next paid version upgrade), but really. If you use an app every single day, maybe you should see if it will work when you make a major upgrade to your operating system—use some common sense, folks. I know an update for Instant On will be out soon, and I thank Rogue Amoeba for their work, and for even existing in the first place. To the disgruntleds: Grow up and sit tight. Give them a week or two before you show up at small developers’ doors with torches and pitchforks. And maybe you’ll be a bit more cautious and not update your OS the same day it’s released next time. Hmm, the video in Airfoil video player turned green/purple-ish since I upgraded. Extremely annoying. I second what Damnathan wrote. You have to make certain that third-party apps that you really need and use all the time will work the way you want them to work (or work at all) before you download the “latest and greatest” Mac OS. It always amuses me greatly to see all the whining and complaining on various Apple forums after the earliest adopters realize that their favorite third-party apps have problems. Is 3.X a current release? Works beautifully in Lion so far, with the exception of Instant On support. One quick (newbie) question- when using Instant On to capture System Audio in 10.6.x, I would sometimes get feedback, which would go away if I selected/deselected audio settings in the Sound control panel-is this simply my stupidity, or a bug? Steve: SoundSource should work just fine. JackW: All of our apps feature built-in version checking, which is on by default. This runs every 14 days. If you want to check more frequently, you can always choose Check for Update from the application’s main menu. Damnathan, Daveylee: Thanks for the support. Cespur: Be sure to grab Airfoil 4.5.1, which addresses that issue. Jonathan: Airfoil? No, we’re at Airfoil 4 now. Chris: It’s unlikely to be a bug, but it could be some tricky settings. Contact us directly for support if it happens on Lion, once Instant On is updated.